People who are calm and composed often perform better than the ones who are always tense. Pressure at office can turn your assignment or research work terribly wrong. If you want to make sure that your temperament and control over yourself and work is better than others, then follow these easy ways to calm yourself. 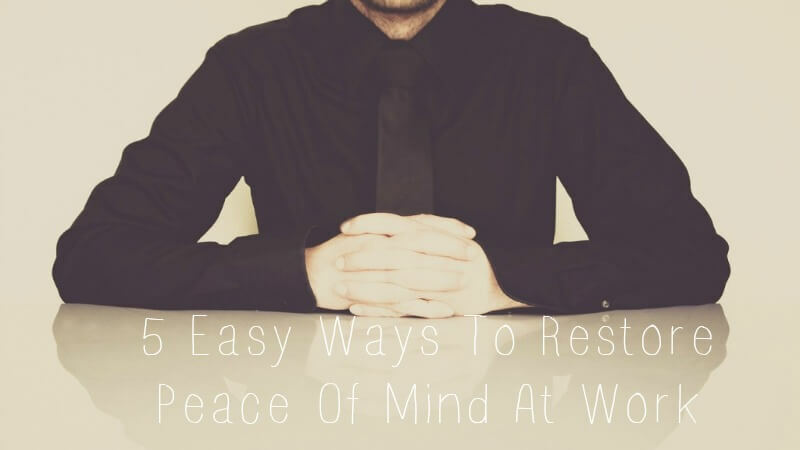 You don’t have to stay stressed or release your anger on people at work. Learn how you can vent your feelings in creative way without getting passive aggressive. Make sure you have plenty of alternatives that let you release your negative energy in positive ways. For example, listen to music, writing or simply talking to your friend. Most people don’t realize how important rest is to ensure that you are calm during office hours. Take good sleep and make sure that your sleep isn’t interrupted by anything. During the day, give yourself regular break to provide your mind and body a relaxing time. This will keep you calm and productive throughout. While some people may be annoying, you will be surprised to see how soothing socialization can be. Get up and go talk to someone and you will be relieved greatly. Not only this, you get equal opportunity to become good friends after work. Having a congenial behavior will be really helpful in keeping your mind peaceful. There are many people who depend on coffee to get by the office routine. Ironically, coffee isn’t your best friend as it keeps you agitated. It is good to drink coffee a couple of times a day, but don’t fuel yourself with it. Instead opt for water – it will keep you hydrated and active throughout the day. Your low blood sugar level and slow metabolism can heavily impact your thinking process. While you can opt to stay a grumpy person, there’s a better way to keep yourself at peace – simply eat at regular intervals. Include fruits and healthy snacks to keep hunger at bay and prevent your outburst at office.